Was $1,399.00 Shop now and save! Product Description Comfortably Cool. Blissful slumber is just minutes away with the Blue Fusion 100 firm Queen mattress set. Forget cracking a window or turning the fan on - state-of-the-art TempActiv™ Gel Memory Foam infused with cooling beads absorbs and dissipates excess heat. That’s not all! The EverCool® Fuze Gel Memory Foam enhances breathability to promote airflow and further reduce heat buildup, while an additional layer of Cool Twist® Gel Foam cradles every curve, creating an extremely comfortable, plush feel. 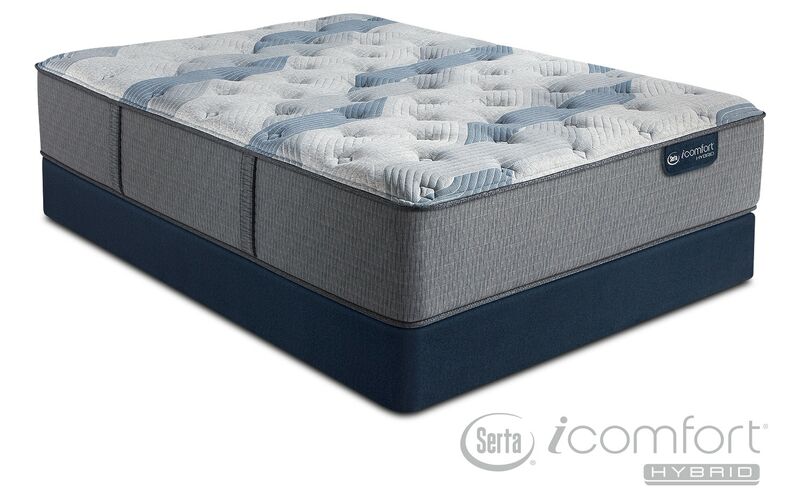 Built for longevity, this mattress includes a 1008 density Hybrid Coil™ Support System that adapts to the support you need and provides a sturdy base for long-lasting resilience.